Tune Ups and Preventative Maintenance Service in Bedford PA.
Has your get up-n-go just got up-n-went? Maybe you need a tune-up. Town Hill Auto Repair Service service Bedford PA and surrounding areas is unlike any other vehicle repair service facility in the area. 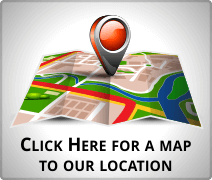 Every mechanic at Town Hill Auto Repair Service is Master certified and Factory trained! That means that not only are we able to do your tune-up better… but faster. From the moment you make an appointment you’ll know you have chosen the right place for all your automotive needs. That will be reinforced when you are greeted by our knowledgeable repair service staff that will put your mind at ease about your car’s tune-up needs. We have no use for gimicky sales techniques… you just need a tune-up, not a sales pitch… and that’s exactly what you will get. To help ensure that your car is in top running condition, Town Hill Auto Repair Service in Bedford PA uses premium NAPA products for your tune-up and maintenance services. Enjoy peace of mind knowing that our ASE certified master mechanics are using top quality parts with industry-leading warranties. Because Town Hill Auto Repair Service is a Napa service Center you know that we are held to a high standard… which we just don’t meet… we exceed everyday. The standards that Town Hill Auto Repair Service abides by, is what keeps our customers coming back again and again as well as telling others about how great their service was at Town Hill Auto Repair Service. This standard is reinforced by using top quality part and never any shortcuts… we want to be the auto repair dealer that when you see us at Walmart.. we get a high five (and an occasional hug) because we take care of your most valuable family member… your car. For over 20 years Town Hill Auto Repair Service in Bedford PA has provided our customers with Superior Tune Ups and preventative maintenance including spark plug replacement, distributor caps and rotors, filters all using premium Napa quality parts. From the beginning, Town Hill Auto Repair Service serving Bedford PA has been dedicated to next level service often including what other automotive service repair centers in Bedford PA charge extra for. One thing that will never change is the Town Hill Auto Repair Service commitment to providing quality Tune Ups and preventative maintenance including spark plug replacement, distributor caps and rotors, filters all using premium Napa quality parts. This has resulted in a loyal customer base that has kept coming back over the years; and it’s the Town Hill Auto Repair staff that keeps making the difference in that regard. The fact that all team members are ASE Master Repair Mechanics; factory trained on all makes and models is not just a coincidence… it’s our standard! Our customers can count on personalized dependable automotive repair. The Town Hill Auto repair staff takes pride in their work – We want to make you a customer for life! Town Hill Auto Repair Service is pleased to offer PA State Inspections to make sure your car is safe and compliant. Call Town Hill Auto Repair Service in Bedford PA to have our customer service professionals answer any questions that you may have. Our careful approach to customer relations guarantees that we can provide the services you need, and, in a time when every dollar saved matters. 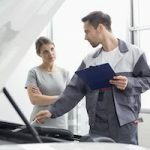 Does Preventive Maintenance On My Car Really Save Money?